Inside The Market: Moncler S.p.A. : cash flow statement analysis. 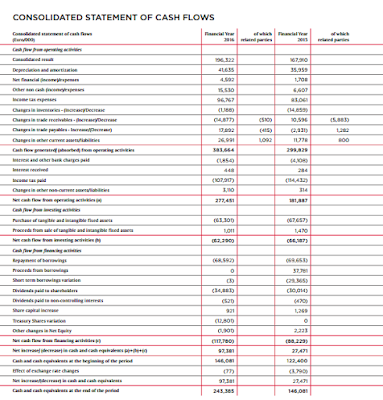 Here we have the consolidated cash flow statement of Moncler (full year 2016 results). 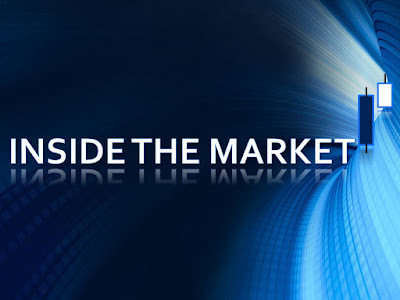 The core business is able to support the other areas (as it should normally be), investing and financing activities. 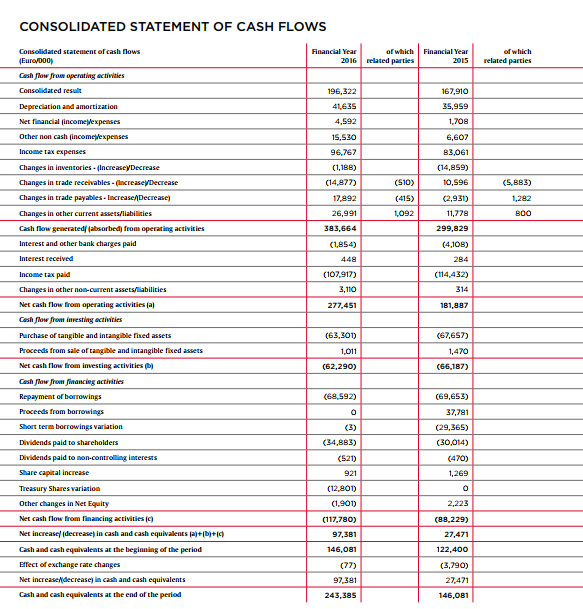 At a glance, we can notice that the core business (operating activities) generates cash flow (+383,664). It is very important for a functioning business. If a firm absorbes cash flow from operating activities, it is not vey good. Substantially, it is a poor business. However, the investing activities and financial activities absorbe cash flow. A functioning firm should invest to grow (like Moncler with a negative cash flow from investing area > purchase of tangibles and intangibles fixed assets > -63,301). The financing area should generate cash flow (positive cash flow), to support the business and to grow, following the foregoing reasoning. Instead, the firm prefers repaying the debts (repayment of borrowings, -68,592). To summarise, the cash flow from operating activities should be positive and able to cover the financial needs from the other business areas. We are in a great situation with a positive cash flow from the core business and big enough to offset the cash outflows from the other activities. We are in a bad situation with negative cash flow from the operating activities and the other areas are not able to generate adequate cash flow to cover the cash outflows from the other business areas. The following table and the following pie chart is very exhaustive. At the same time, Moncler presents a great financial balance and a core business capable to support the areas that absorb cash flow. Indeed, the total net cash flow is positive (a+b+c) and the percentage of the cash flow from operating activities compared to the percentages of the other areas is greater than 50%. There is also an improvement if we look at the fiscal year 2015 and at the fiscal year 2016 : from 54% to 61%. To conclude, it is useful to calculate two ratios : revenues monetization index (also known as monetary ROS) ; EBIT liquidity index. The formulas are the following. Monetary ROS : Cash flow from operating activities / Revenues. EBIT liquidity index : Cash flow from operating activities / EBIT. The following chart shows the compared analysis. For the EBIT, I used the EBIT adjusted, due to the non-recurring items. The two ratios are very good, as a percentage. The cash flow from operating activities represents the 27% of the revenues and the 88% of the EBIT. There is also an improvement from the full year 2015 to the full year 2016.